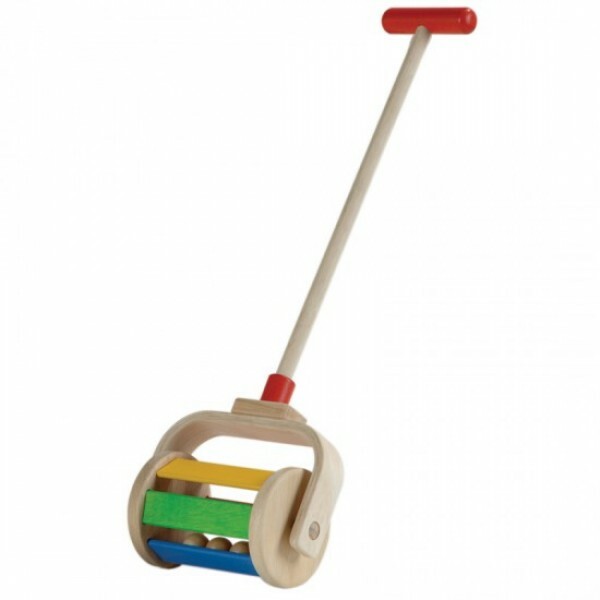 While the wheel turns, the wooden ball inside the PlanToys Walk N Roll hits the panels creating sound. Children will be fascinated by the sounds the clacking wooden balls create as they walk at different speeds. All PlanToys are made using chemical free, kiln-dried recycled rubber wood and designed with water based non-toxic colors as accent. A small wooden playthings can produce big change.